The Razer Mamba Tournament Edition is designed for eSports athletes who demand the very best performance. 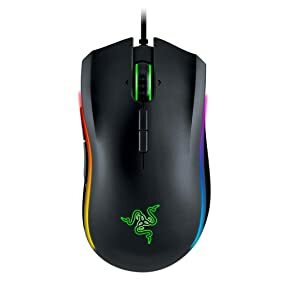 Engineered with the world’s most precise 16,000 DPI gaming mouse sensor, capable of tracking up to 1 DPI increments and a lift-off cut-off distance as precise as 0.1 mm, the Razer Mamba Tournament Edition gaming mouse perfectly translates every mouse movement with incredible pinpoint accuracy, helping you make effortlessly precise headshots. 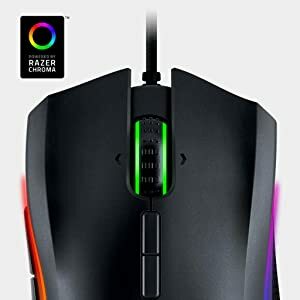 Further customize the Razer Mamba Tournament Edition using the Razer Chroma lighting with true 16.8 million customizable color options and create a mouse unlike any other. Explore absolute control and performance as you take your gaming experience to the competitive level with the Razer Mamba Tournament Edition. 16,000 DPI 5G laser sensor. 210 inches per second / 50 G acceleration. 1,000 Hz Ultrapolling / 1 ms response time. Ergonomic right-handed design with textured rubber side grips. 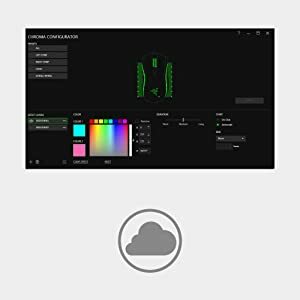 Razer Chroma lighting with true 16.8 million customizable color options. Nine independently programmable buttons with tilt-click scroll wheel. 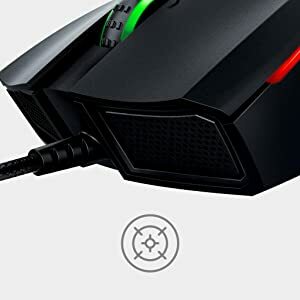 Boasting the world’s most precise 16,000 DPI gaming mouse sensor, the Razer Mamba Tournament Edition provides you with unsurpassable accuracy, so you’ll have an even greater edge over your competition. 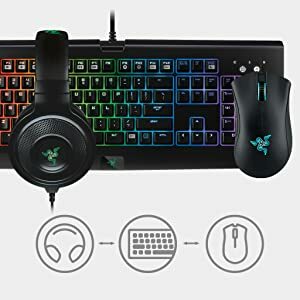 With its ability to track up to 1 DPI increments and a lift-off cut-off distance as precise as 0.1 mm, the Razer Mamba Tournament Edition helps you to react instantly while you skillfully maneuver your way to victory. 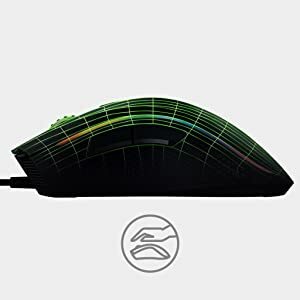 Designed for the most natural hand position, the Razer Mamba Tournament Edition boasts impressive ergonomics that reduce stress on your fingers when you’re actuating buttons and eliminate unnecessary finger drag points. Whether you’re training for a tournament or playing an overnight raid session, your Razer Mamba Tournament Edition gives you an extremely comfortable gaming experience the whole time. Taking personalization to the next level, you can now illuminate the Razer Mamba Tournament Edition’s logo, scroll wheel, and side strips just the way you want. Each lighting location is individually customizable, allowing you to have a variety of lighting effects and the full spectrum of 16.8 million colors for an impressive display that’s as unique as your play style. 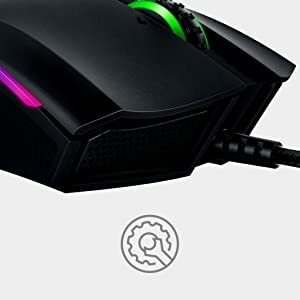 All Razer Chroma enabled devices come with an open SDK that will allow game developers to take advantage of the multitude of lighting options available for Razer Chroma by integrating these advanced lighting effects to create in-game lighting alerts or actions per minute lighting features. Enhance your Razer Firefly experience with Synapse, Razer’s hardware configurator with online cloud support. From sensitivity to lift-off tracking to surface calibration, you get to customize every detail to be saved in the cloud, so you can play at your best in an instant, wherever you are. By also keeping your peripherals at their best via automatic driver and firmware updates, Razer Synapse helps keep you on top of your game, all the time.